Spending the time and resources to create a job description, promote the job posting and vet candidates is undone if your interview is unable to successfully differentiate the candidates. Once you’ve attracted candidates, you’ll want to ask interview questions regarding industry and expertise, as well as broader-based questions to learn how they will ultimately mesh with your team. The interview itself is a two-way street. It is not only a time when the organisation determines whether the candidate is the right fit for the company, it is also a time for the interviewee to envision their future with your business. The type of questions you ask will allow the interviewee to identify who the company is and what you stand for. Something you would rather them figure out prior to onboarding. While interviews can differ from one another, they all typically have some question-answer format. Knowing how to ask the right questions will unlock the right answers and separate each candidate. Question – How would you describe your own working style? While you don’t want to build a completely homogeneous team, you do need to make sure that new additions are able to work in a way that doesn’t throw a spanner into the way things already operate (The Muse). This question will determine whether the individual is collaborative, or an independent worker capable of suiting your current work situation. Question – What one skill would you like to improve and what’s your plan for doing so? Rather than asking the infamous “What is your greatest weakness” question, focus on how they plan on bettering themselves rather than have them identify their flaws. This question allows the candidate to showcase how self-aware they are and how they plan to enhance their career skills and personality. Question – What do you enjoy outside of work? Hiring employees that don’t mesh well with the existing or desired company culture leads to poor work quality, decreased job satisfaction and a potentially toxic environment (Forbes). The candidates hobbies, their family dynamic, and their friendships all expose the type of person you will be hiring and how well they’ll adjust to your organisation and the social dynamics inside. Question – What skills make you the most qualified for this position? While things like cultural fit are important, your goal first and foremost should be to find someone who possesses those necessary cut-and-dried qualifications to fill that open position. This type of question gives you the ability to hear more detail about what the candidate believes to be their core capabilities, and is also a chance for them to confirm that they have the appropriate understanding of everything the role will entail. Question – Tell me about a time you screwed up. An oldie but goodie. Someone who takes ownership of their mistakes and learns something from it is usually humble and mindful. Candidates who blame others or give a “fake” screw-up are often red flags for employment. (Hubspot). Question – Pitch this company to me as if I were buying our product/service. This is a unique and more challenging approach to the standard “What does our company do?” question. 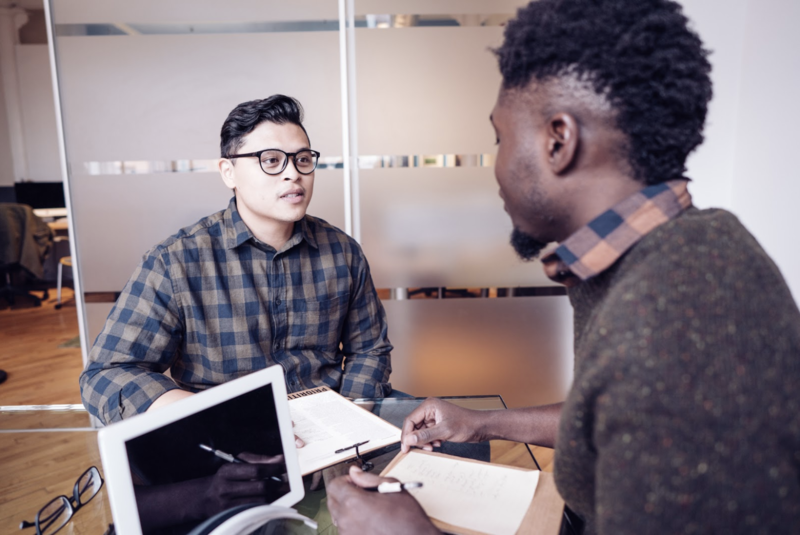 It forces candidates to not only express the research they’ve done to prepare for the interview, but also show they can use this research to craft a persuasive message that would be valuable in a business situation. Win, win. Question – If I were to poll everyone you’ve worked with, what percentage would not be a fan of yours? Arguably one of the most difficult to manage employees is the “people pleaser.” It is these employees who will forgo confrontation in an effort to maintain relationships with their coworkers. In many cases, the people pleaser reduces innovation through lack of conflict. By contrast, somebody who is difficult to work with can create a toxic work environment for the team and company. Asking this question allows you to find a happy medium and somebody with self-awareness for their personality. “If you do not know how to ask the right question, you discover nothing.” – W. Edwards Deming. Ask yourself this, “Who am I looking for?”. It is only once you’ve determined who you’re looking for that you can then determine how to ask the right questions. Your company is unique, with a unique need for the right employee. Find the interview questions that promote who you are as a brand and what you hope to achieve with your new hire.